The scenic transfer between Prague and Vienna with a stop in Cesky Krumlov is a great alternative to the direct transfer between Prague and Vienna. Cesky Krumlov is listed as UNESCO World Heritage Site. Cesky Krumlov is situated in the South Bohemia about half way from Prague to Vienna. Cesky Krumlov is a very attractive place to visit and a lot of travelers do day trips from Prague or Vienna. Thus combining the stop in Cesky Krumlov with a transfer between Vienna and Prague saves time and also gives more value for the money. The package includes 4 hours waiting in Cesky Krumlov, you can leave the baggage in the vehicle during your sightseeing. The touring of Cesky Krumlov is done on foot. It is recommended to visit the Square, the Chateau/Castle and the Baroque theater. If you have some time left, definitely do lunch in one of the restaurants along the river. Another option for a great lunch is Restaurant Satlavska, where you can get grilled meat and fish. Wear comfortable shoes as the city is quite hilly and there are a lot of old cobbled stone streets as well as narrow paths. We are able to organize guide in Cesky Krumlov for additional charge. 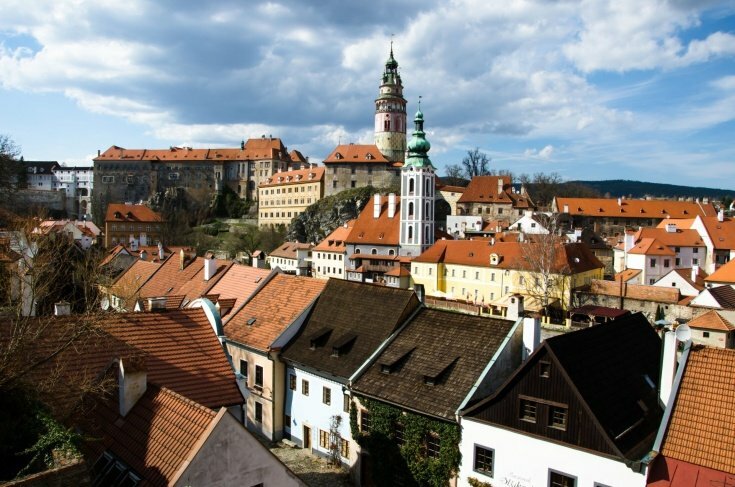 In general the guide is not needed as the main sights provide the guides as part of the ticket price, but if you want to know about the other parts of town, it is definitely a good option to book Cesky Krumlov private guide. If 4 hours in Cesky Krumlov are not sufficient, you can get extra time for additional charge. Just simply agree with the driver on the spot or make a note on the booking.